The women’s 200m Individual Medley events showed some real swimming talent, with Tia Ward leaving the field behind in the women’s 12/13yrs age group. The City of Leeds swimmer lead the race from the off, three seconds ahead of the field at the third turn. She had a 2m lead as she approached the finish, touching in a PB 2:24.62 for the gold medal. Eleanor Cowan of Newbury and Emily Eveling of Exeter were neck and neck right up to the touch, with Cowan reaching to claim silver in 2:27.39 and Eveling taking bronze in 2:27.43. “I’m ecstatic. It was just an amazing swim,” said Ward. 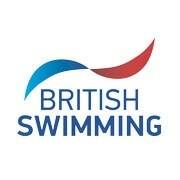 “I haven’t swam a PB in a while so I am really happy especially seeing as I was the youngest in the age group. The middle four lanes in the 14yrs final were less than a second apart going into the finals, but it was Daisy Anderson (Sevenoaks) in lane four who claimed gold with 2:27.49. Honey Harvey of Norwich knocked over three seconds from her PB to win silver (2:27.84) and Lucy Drinkhall of Staines shaved just under two seconds off hers for the bronze (2:28.52). Amelia Chappell of Clevedon seemed unstoppable over the first 100m of the 15yrs final, but Rosanna Arnold of Guildford, fastest in the heats, pulled it back in the breaststroke leg and finished two seconds clear of the field for gold (2:23.29). Rachel Taylor of Sunderland came second for silver (2:25.34) and Daisy Platts of Leicester took bronze (2:27.64). Chappell finished in sixth. In the 16/17yrs race the gold medal was all to play for through the first 100m, with four swimmers all looking hungry for the win. The medallists finished within half a second of each other, with Holly Hildrew of Romford touching first in 2:21.11, while Courteney Price and Holly Shepherd, both of Royal Wolverhampton, took silver (2:21.20) and bronze (2:21.51) respectively. Rachel Wilson of Derwentside sat back in third for the first three legs of the 18yrs final, but came alive in the freestyle leg to claim the gold with 2:20.56. Shannon Dodson of Doncaster Dartes came second for silver (2:22.21) and Katie McCarthy of Salford took bronze (2:22.39). Eight of the swimmers in the Men’s MC 200m Freestyle final had set PBs in the morning’s heats. Joseph Seage of Rotherham seemed to conjure speed from nowhere as he lowered his PB again by almost a full five seconds for gold. Christopher Currie of Oxford won silver with 2:22.24 and Joshua Fairchild of Coventry received bronze with 2:28.34.